Base stands are constructed of durable 4.5cm (13/4") tubular, glacier white epoxy-coated steel and support loads up to 453.6kg (1000lbs.). ADA-compliant. 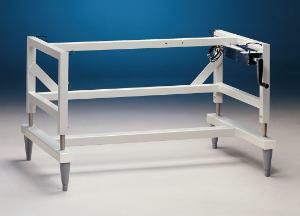 Stands with telescoping legs are adjustable from 69.9–85.1cm (271/2–331/2") high. 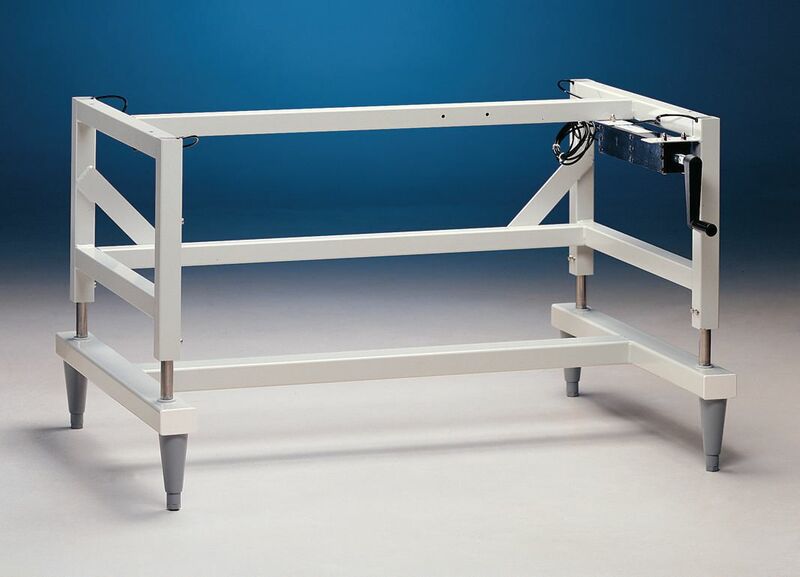 Hydraulic lift base stands adjust from 64.8–85.1cm (251/2–331/2") high and include four powder-coated, die-cast feet with levelers. Manual hydraulic lift models include front-accessible hand crank. Electric hydraulic lift models include a front-accessible up/down switch. Certifications: Electrical components of hydraulic lift stands are UL listed. Ordering information: Hoods can be placed on a base stand or base cabinet. Several base cabinet models are available: standard storage (see 46610-404 series), acid storage (see 46610-412 series), and solvent storage (see 46610-440 series).